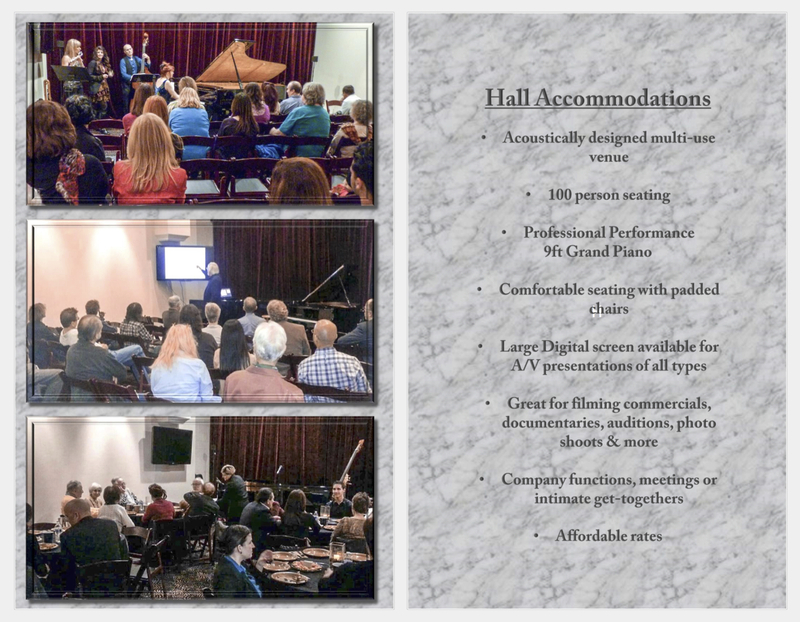 Have your next recital, performance, event, or meeting, in our facility. The goal was to honor the memory of our parents with a small intimate hall with superb acoustics. We worked with acoustical engineers for the right mix of materials to get the best sound. The result is something we are very proud of. Please Contact us for and inquiries into the rental of the hall. It has been used for everything from recitals to full runs of musicals to lectures and press events. 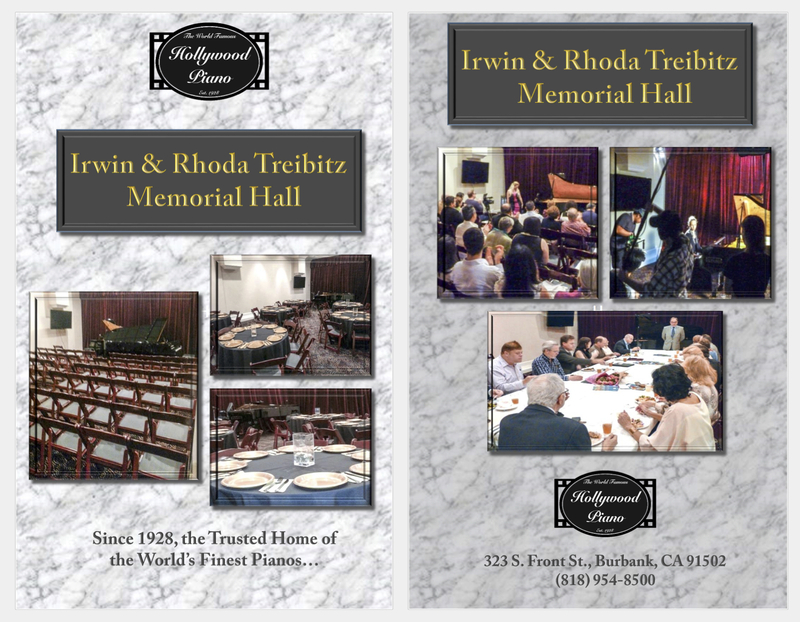 Here is an example of a recital at the Performance Hall at Hollywood Piano featuring the late Mario Feninger at the Estonia Concert Grand 9′ piano on the occasion of his 90th birthday.